This partnership has been established at the perfect time as both companies have gone global in the past few years. National Diversity Council has expanded events and services to Europe and Mexico and Southwest Airlines now offers flights to Latin America and the Caribbean. Working together to move beyond domestic lines creates an opportunity to serve more diverse groups and create a culture of global unity. To kick off this partnership, Southwest Airlines will be featuring National Diversity Council’s Founder & Chair, Dennis Kennedy, in the December edition of their magazine. 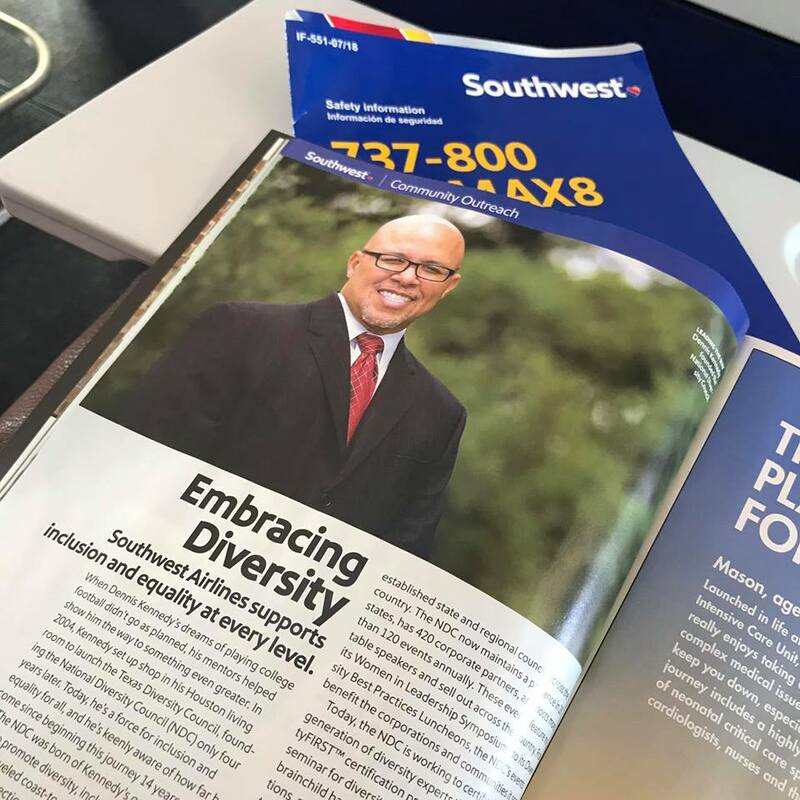 This article highlighting Kennedy’s journey to creating an international diversity advocacy organization is now available to all Southwest Airlines passengers and can be found online at www.swamedia.com/magazine. A non-profit organization celebrating 10 years of commitment to fostering a learning environment for organizations to grow in their knowledge of diversity. The council affords opportunities for organizations to share best practices and learn from top corporate leaders in the areas of diversity and inclusion. More information about the National Diversity Council is available at www.nationaldiversitycouncil.org. In its 47th year of service, Dallas-based Southwest Airlines Co. (NYSE: LUV) continues to differentiate itself from other air carriers with exemplary Customer Service delivered by more than 55,000 Employees to a Customer base topping 115 million passengers annually, in recent years. Southwest became the nation's largest domestic air carrier in 2003 and maintains that ranking based on the U.S. Department of Transportation's most recent reporting of domestic originating passengers boarded. During peak travel seasons, Southwest operates more than 4,000 weekday departures among a network of 100 destinations in the United States and 10 additional countries. Southwest has announced its intention to sell tickets in 2018 for service to Hawaii, subject to requisite governmental approvals.